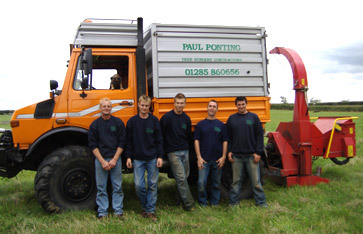 Paul Ponting Tree Surgery offers a wide range of professional tree surgery services throughout Gloucestershire and the surrounding areas. We have been established since 1981 and are now a family run business and pride ourselves on providing a reliable service to all our clients, however small or large the job may be. We work in private gardens right through to clearance on construction sites. All our employees are trained and are certificated. All work is carried out to BS3998 and we are fully insured for £5 million Public Liability Insurance.